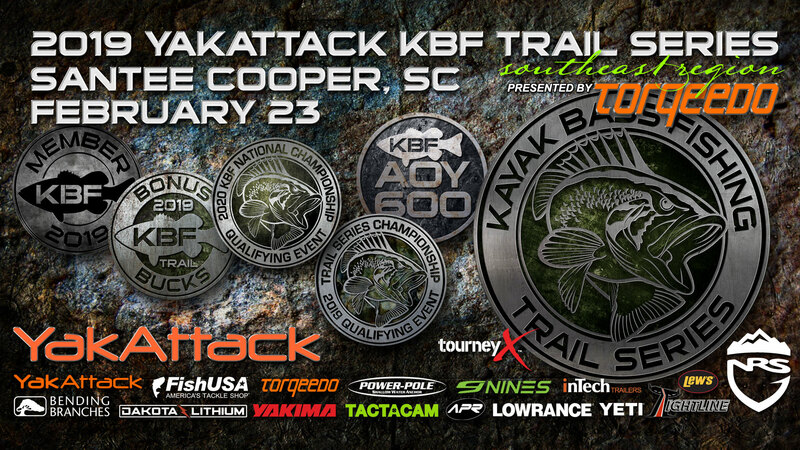 This event is for 2019 KBF Competitor Members and Lifetime Members Only and is sponsored by YakAttack and Torqeedo. This is an addendum to the KBF Competition Rules Standards and covers rules, restrictions, and details specific to this event only. • the specific rules outlined in the KBF Competition Rules Addendum on this page. • 2:30 p.m.: Photo upload deadline. 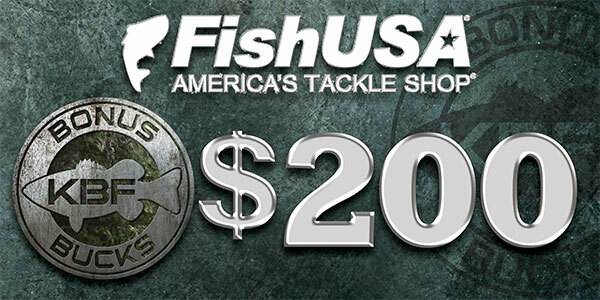 • 4:00 p.m.: Competitor Check-in Deadline; all anglers must have checked in with staff at Tournament HQ. Awards Ceremony at Tournament HQ. Must be present to receive prize(s). Manual Submission of Digital Photos: The preferred method for submitting digital photos is direct upload from the Competitor’s smart phone to the Tournament Management System (TMS). Competitors may need to move to a facility with Wi-Fi to upload photos. If a Competitor cannot upload photos on his own, he must request assistance from TRAIL Event Staff at Tournament HQ no later than 2:30 p.m. and must be prepared to surrender his smart phone, camera, or cameras’ memory card with USB cable. • Entry Fee Transfers—Not allowed for this event. • Entry Fee Refunds—Email Registration Refund requests to the Tournament Director at the email address given above. See KBF Competition Rules Standard for additional details. • KBF Member-only side-pot, limited to competitors in the KBF TRAIL Series Tournament. • Register and pay Entry Fee through the KBF Online Store at any time until start of competition. 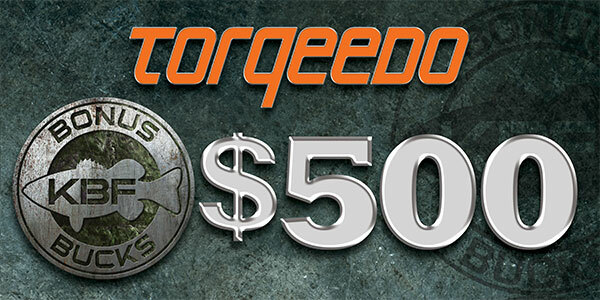 • Prizes: Overall Big Bass $500 with $50 hourly prizes. Golden hour (first hour of the day) pays double. 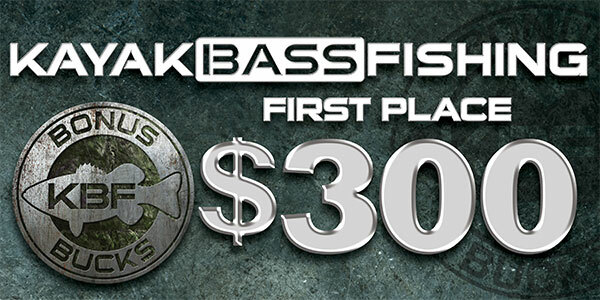 Mystery bass pays an extra $50 to KBF BONUS BUCKS participant. 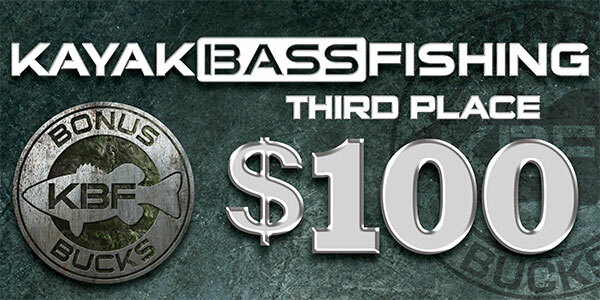 • Rank is determined by the single highest-scoring bass of each hour. If submitted by a Brawl participant, then he wins the hourly prize. If submitted by a competitor not participating in the Brawl, the prize is added to the next hour. • Ties are broken based on upload time. Prizes—Prizes for 2019 will be the same for each event, regardless of the number of registrants. KBF BONUS BUCKS will be awarded on behalf of KBF Sponsors at this event to the competitor who finishes in first place AND is enrolled in KBF BONUS BUCKS and meets the following eligibility standards. 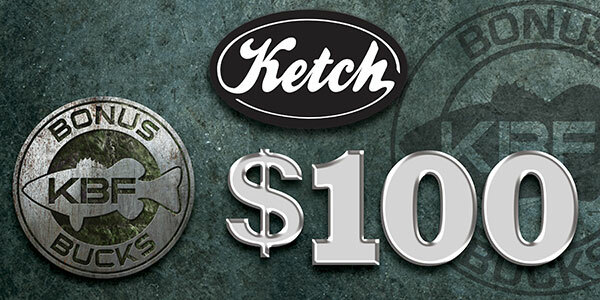 KBF cash bonuses are available to KBF BONUS BUCKS-TRAIL participants who finish in 1st, 2nd or 3rd place. Competitors who claim BONUS BUCKS prizes must present qualifying products to the Tournament Director after Awards Ceremony. An event photographer will photograph the Competitor with qualifying products for verification and marketing purposes. Multiple qualifying products may appear in the same photograph. KBF BONUS BUCKS Program participants grant permission for KBF to use photos in marketing the sponsors, in promoting KBF BONUS BUCKS and for all post-event press releases and social media reports. No additional compensation shall be provided for the use of photography and video by KBF or the program sponsors. Bonus distributions will processed only after eligibility has been documented by photos and IRS Form W-9 submitted (as described below). c. The TD identifies all photos that exactly match the Mystery Bass score and that were submitted during the randomly selected competition hour. Ties are broken in favor of the first competitor who submitted a photo of that score. A $50 bonus (or the amount to which the bonus has grown by that event) is awarded if the competitor who submitted that photo it is enrolled in KBF BONUS BUCKS-TRAIL. 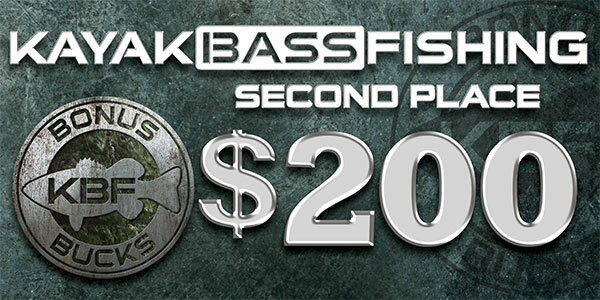 d. If a Mystery Bass Bonus is unclaimed at a KBF TRAIL Series Tournament, then the bonus is added to the bonus at the next one. 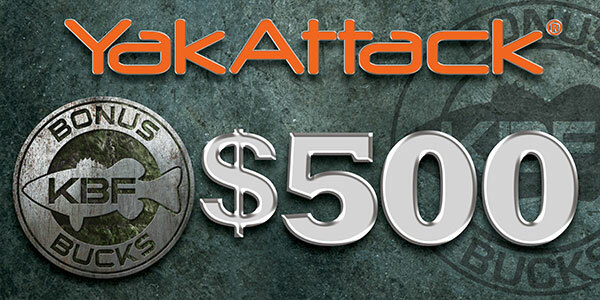 For example, if a $50 bonus is unclaimed, the next week’s Mystery Bass Bonus would be worth $50 + $50. 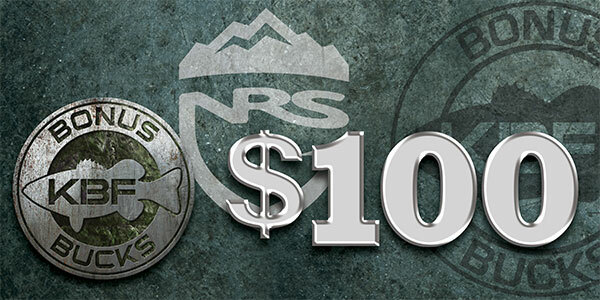 Multiple KBF TRAIL Series Tournaments on the same day all benefit equally, so if there are three such tournaments the following weekend, $100 is up for grabs at all three. 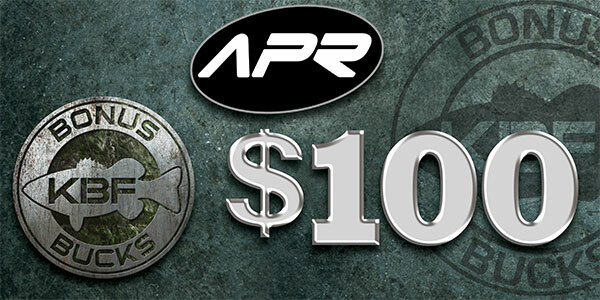 The number keeps climbing until claimed…possibly all the way to $1,500 by the last KBF TRAIL Series Regional Final. 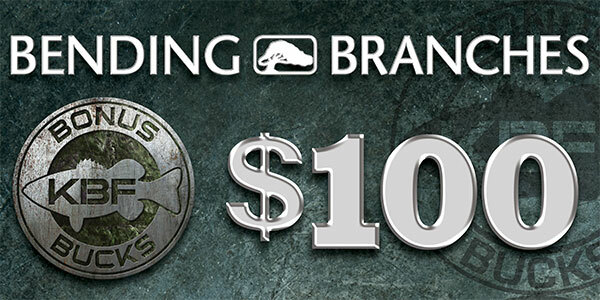 • 2019 KBF Angler of the Year points will be awarded to all eligible KBF Members who register for this event. 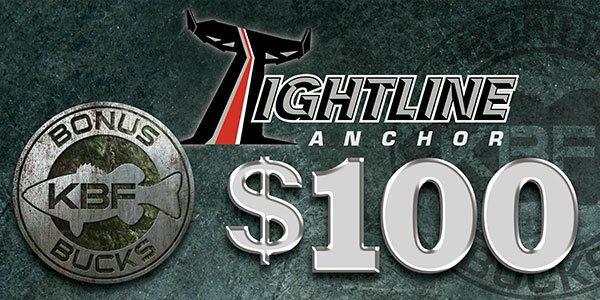 • Active Participants’ AOY points will range from a maximum of 600 Points for First Place down to 120, dropping with each successively lower rank by five(5) points, with each angler’s ranking determined by his score. • Registrants who do not compete, or who fail to upload the empty measuring board “Participation” photo will be awarded 60 Registration Points. 2020 KBF National Championship Qualification: Awarded to top 10% of field, rounded to the nearest 10, minimum five with 30+ registrations. If recipient has previously qualified, the award does not roll down. 2019 KBF TRAIL Series Regional Final Qualification: The top twenty percent, minimum 20, in rank at each KBF TRAIL Series Tournament qualify to advance to the 2019 Regional Final, where they will compete to qualify for the 2019 KBF TRAIL Series Championship at La Crosse, Wisconsin In October, 2019. 2019 KBF TRAIL Series Championship Qualification: The top ten percent, minimum 10, in rank at each KBF TRAIL Series Tournament qualify to advance to the 2019 KBF TRAIL Series National Championship at La Crosse, Wisconsin In October, 2019. • Preliminary event rankings and rewards will be announced at the Awards Ceremony at Tournament HQ. • Tournament photos and submission details will be visible on NRS Leader Board on TourneyX for public review. • A 24-hour Dispute Period commences when the Tournament Director announces preliminary results. When all disputes submitted by Competitors have been resolved—no less than 24 hours later—prizes, bonuses, AOY Points and KBFNC qualifications are finalized and posted on this page with an event recap on Facebook. 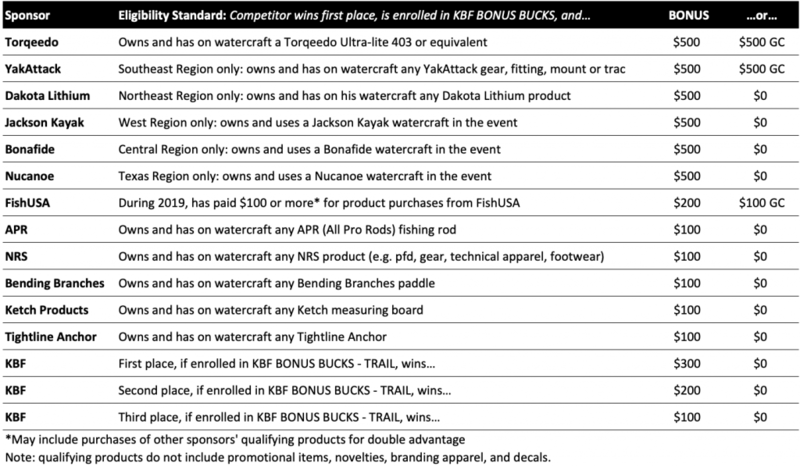 • Each KBF TRAIL Series Competitor awarded cash prizes or bonuses in 2019 is required to provide KBF with a completed, signed, and dated IRS FORM W-9, even if no information has changed since a form was submitted in previous years. • Tournament Directors will distribute the blank forms to cash winners after the awards ceremony and will collect the completed, signed and dated forms and forward them to KBF, which uses information from them to prepare IRS 1099 forms. One copy of each Form 1099 is sent to the IRS and another is provided to Competitor in January for income tax return preparation. • After KBF has received the Form W-9, it will distribute cash prize and bonus payments via PayPal Funds Transfer to the email address provided by Competitor during event registration.